Lucy hated the way she looked and never felt comfortable in what she wore. Now she’s a new person – loves her clothes, feels great, and likes going out! 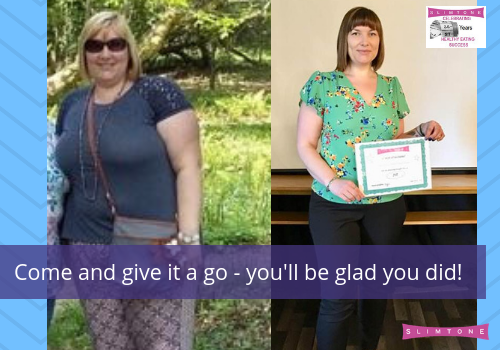 Lucy has lost an amazing 7 stone and is very proud of herself. Her two teenage children are delighted too and love having a happy, bouncy Mum around. Find out more about the difference Slimtone has made to her lifestyle here. If Lucy can, you can too!